"Power Is Power" will be out on April 18. 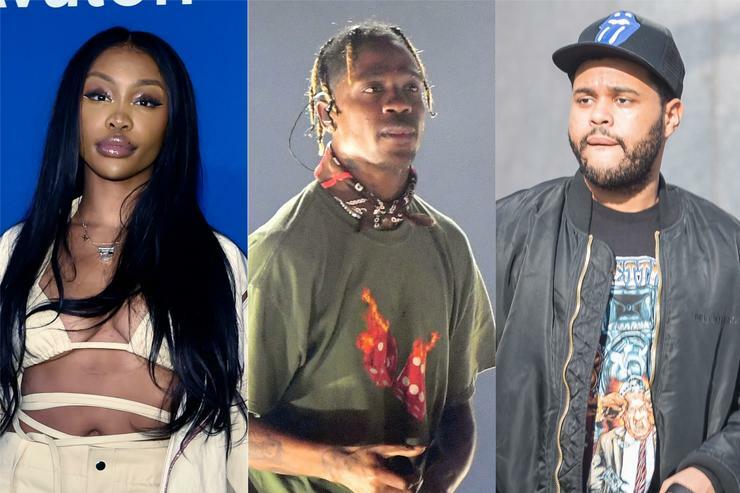 Last week, it was rumored that SZA, Travis Scott and The Weeknd would be teaming up for a Game Of Thrones-inspired new song. Shortly after, the feature list was revealed for the Game Of Thrones companion album, welcoming in the new season of the show with appearances from A$AP Rocky, Joey Bada$$, and many others. Thanks to confirmation from SZA, we now know when we can expect to hear the highly-anticipated threeway collaboration with La Flame and Abel as it will be releasing in two days, just in time to celebrate the end of the week. The TDE songstress came through with some big news on her social media pages, informing fans that her new song will be out on April 18. Joining her for the ride will be her "Love Galore" collaborator Travis Scott and The Weeknd. The track will be called "Power Is Power" and SZA shared the cover artwork with her announcement, going with a simple GoT-inspired crown. She also possibly shared a glimpse into the lyrics of the song, writing: "Heavy is the crown…but never for a queen." Ever since this was first rumored, we've been on edge waiting to hear any news about the track. You better believe that our eyes are peeled for whenever it drops on Thursday. Are you excited for this one?